Everyone wants inclusion. Everyone wants their contributions to the United States to be acknowledges, and not just by some coin no one uses, like a Sacajawea dollar, a Susan B. Anthony dollar, or a random state quarter. Paper money is where it’s at, and it looks like a woman will be getting her face on one of the most circulated bills in the global wallet. 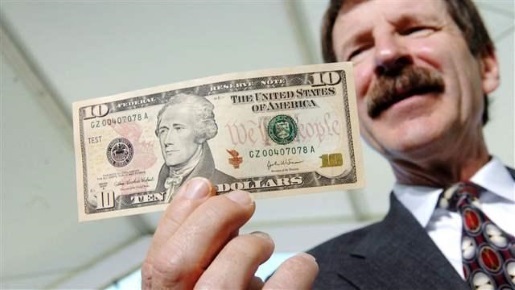 By 2020, a woman will be on the $10 bill in the United States, supplanting Alexander Hamilton. 2020 will be the 100th anniversary of the 19th Amendment, which gave women the right to vote in the United States. No one’s said who the woman will be, but all they’re saying is that there will be one. She may replace Hamilton completely during a bill refresh, she may join Hamilton on the bill, or she may share the bill with Hamilton. Everyone seems fairly happy with the arrangement, depending on who the woman ends up being. However, one notable critic of the change is former Federal Reserve chairman Ben Bernacke, who points out that Hamilton is uniquely deserving of a place on US currency.